There was a tiny Rita known as “esponjinha” (little sponge) due to her delight in spending time with friends drinking a good glass(es) of wine, beer, rum, tequila, whatever. The matter was enjoying the moment, but as a sponge, that moment could last long and long because even tiny, I always managed to “absorb” a lot! … What people didn't know, is that my absorbent feature is actually a secret pleasure – not on drinking liquids (Alain Frapolli knows it well since he “forces” me to drink water every day) but – on taking the time to observe, to talk, to read people and empathize. Not (only) as a social demand, but because I love capturing details from my surroundings. Not just sensing people, also animals, objects, spaces and ubiquitous things. Since a child, I've always liked the peculiar characteristics or circumstances. I like coincidences and differences, because I DO notice them. My visual memory supports my voyeuristic (not sexual related) side of life. I could spend days in a train station sharply observing the tiniest complexities. Maybe because I like making sense of things, maybe I look for details that I can relate to each other, trying to find patterns and orders for a bigger picture. Maybe I always had some sort of obsessive-compulsive disorder that drives my compulsory behavior of solving things for my own relief… Anyway. As a sponge, I've been gathering all that information, and regarding humans, it is what has been leading me to work as a User Experience Designer. I come from Portugal, a country full of skilled and motivated people, but with less and less opportunities to strive as here in Switzerland. But that's not (only) what took me to Zürich. Half my heart had already moved here. Renata, my 10 years partner and soon wife-to-be was working around and the future seemed brighter for both. Two girls, big culture clash, no friends, no family, expensive life and no clue of german … what could go wrong?! Well, actually not much if you strive enough to find a company that thinks just like you do! 3 years of pure joy! I've just arrived from a User Experience Design conference in New York and one in Lisbon. I've been in Stockholm, Berlin, London, Basel and Lausanne. Every year I take the chance Liip gives its employees to empower themselves, supporting the attendance to talks, workshops, courses, trainings, etc. More than hiring “know-it-all-ers”, the goal is to involve people who care about personal AND community development. Working (for real) is part of our job, but as said, the core culture of learning, sharing and collaborating is pretty relevant too. 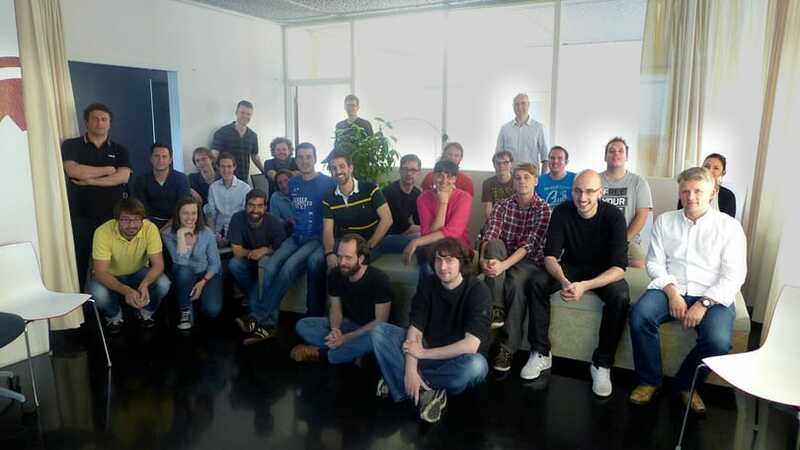 Liip looks for people who trust the natural process of growing: learning with your peers. It almost feels like a family (aka “FamiLiip”) where each new employee is a sibling you get to know and get raised with, sharing great moments and experiences for mutual progress. Together, work becomes easier, faster and better. What would be the point of joining Liip if there was nothing to (l)earn? Besides the awesome projects' collaboration that keep improving my skills, I earned trust, friendship and a great working environment! and all the other Liipers who I love undoubtedly too. You join and you live it. Changing it too. It's diversity, learning and sharing. Is creating an encouraging ecosystem where your ideas aren't less than others'. Is collaborating with great clients, seeking ways to improve their (and their customers) lives. Is being responsible, striving for a social and environmental awareness. And for sure, no one happily writing a blog post related to work around a 6am insomnia on a Saturday!